If you are looking for a three-row midsize SUV for your family, you want to make sure that the vehicle that you pick out is going to provide everyone with a comfortable place to sit. 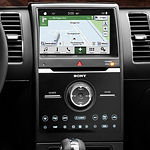 Make sure that you spend a little time looking into the Ford Flex and its comfort features. Because of its low ground clearance, the Ford Flex is easier to get into than a lot of other SUV options that are available today. You do not have to watch your family struggle to get into this vehicle as everyone should be able to get into it with ease. You and your front seat passenger can stay cool in the warm months and warm in the cold months with help from seats that can cool down or warm up. You can invest in cooled and heated seats for your Ford Flex to keep you and your front seat passenger extra comfortable.